Better Place is now one step closer to fulfilling its mission of making switchable batteries commonplace in electric vehicles. The California-based electric car services startup showed off the world’s first switchable-battery electric taxi this week as part of a partnership with the Japanese Ministry of Economy, Trade, and Industry and Tokyo taxi operator Nihon Kotsu. switchable-battery electric taxis for customers on the taxi line at Tokyo’s Roppongi Hills Complex. The taxis, which are actually just gasoline-powered utility vehicles converted into EVs, can switch batteries at Better Place’s Tokyo switch station. All three taxis feature lithium-ion batteries from A123 Systems. Japan, Tokyo has 60,000 taxis–more than London, Paris, and New York combined. At the same time, taxis are an ideal testing ground for Better Place’s battery switch process. Taxi EV batteries quickly degrade since the vehicles need to recharge so often. And that means it makes more sense in many cases for taxis to just swap batteries at switch stations. Battery switch delivers an “instant charge” – a fully charged battery in less time than it takes to fill a fuel tank with petrol or recharge via other charging methods while 20-30 minute quick charge is impractical for such use. The duration, durability and robustness of the battery switch process and battery resistance to degradation will all be demonstrated under actual operating conditions with vehicles that operate nearly continuously and thus drive much more than average passenger vehicles. Not everyone agrees. Coulomb Technologies, for example, is rolling out curbside charging stations that customers can access with a prepaid plan–and unlike Better Place’s swap stations, Coulomb’s charge spots are compatible with all types of EVs. 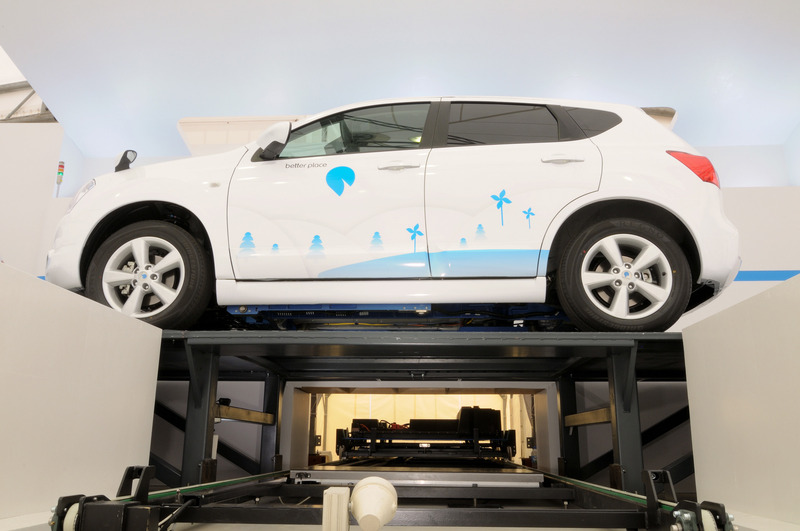 Next up for Better Place: launching its charge spots, in-car software, operations centers, and switch stations next year in Israel and Denmark. If the company can succeed in these smaller countries, it might have a chance of making it big in the U.S.